I had loved stunningly beautiful actress Kim So Yeon in the political blockbuster IRIS (2009) and the wonderful romantic comedy I Need Romance 3 (2014), as well as the exotic film Russian Coffee (2012), so there was no question in my mind that I was going to watch her latest television drama Falling In Love With Soon Jung aka Falling In Love With Innocence (2015). What I wasn't prepared for was how nice her character would be in this show. She had been feisty and sometimes on the hard side in both IRIS and I Need Romance 3, but here in Falling In Love With Soon Jung she was as docile and sweet as a lamb. Even when horrible things were done against her or said to her face she remained calm, stoical, and didn't lash back. It took a bit of getting used to, but then I decided I liked seeing a different, more mild side of her in a drama. I thought this drama was filled with typical K-drama cliches in the beginning, but then I became more interested in the story, which confirmed to me once again that one should rarely check out of a K-drama too soon because most Korean dramas take their sweet time to allow their stories to come to full fruition and you will most likely miss out on a new classic if you misjudge a drama too harshly from the beginning episodes. Her male co-star was Jung Kyung Ho, who played Yune in the classic I'm Sorry, I Love You (2004), and a ruthless, underhanded guy in Heartless City (2013). The latter had really been his break-through drama, even though he had been acting for over a decade. He won many new fans in Falling In Love With Soon Jung, judging by all the glowing comments I read from women fans on the online K-drama sites. Personally I consider him an excellent actor, but not all that good looking. My admiration came here from watching him make his character different from others of this ilk. He could act in a melodramatic fashion one moment, and then have you giggling the next moment. It's very easy to make people cry in K-dramas, but it's a much harder task to make them laugh, and succeed he does. For instance, as he awakes in a hospital bed and pretends to have amnesia, and the next moment laughing and saying he was kidding, in a superb mimic of the dozens of K-dramas with amnesia sub-plots, or in another example, leering at Soon Jung one moment with sensual interest and in the next moment drawing back as if he had overstepped his bounds and offering her a lollipop like a young boy. Just darling. He's really honed his acting skills since I'm Sorry, I Love You! 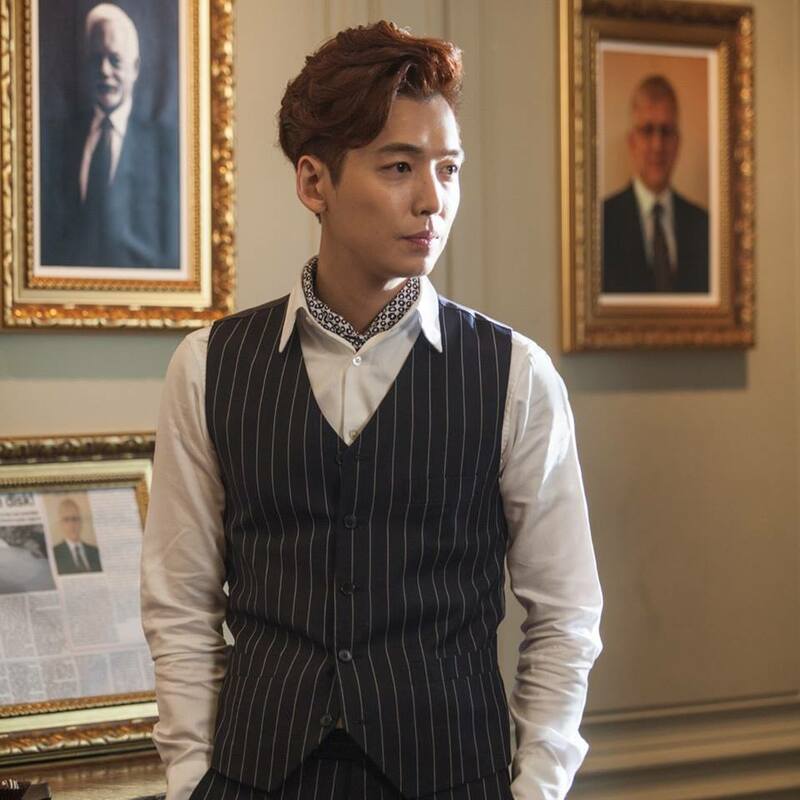 The story basically revolves around corporate intrigue and an attempt at a hostile takeover of a big cosmetics company founded by the deceased father of Min Ho Kang (Jung Kyung Ho); Min Ho's taciturn uncle is in charge when Min Ho arrives from America and he wants to put his own stamp on his late father's company, and oust his uncle from control. The uncle eventually dies and Min Ho obtains control of the company by default. 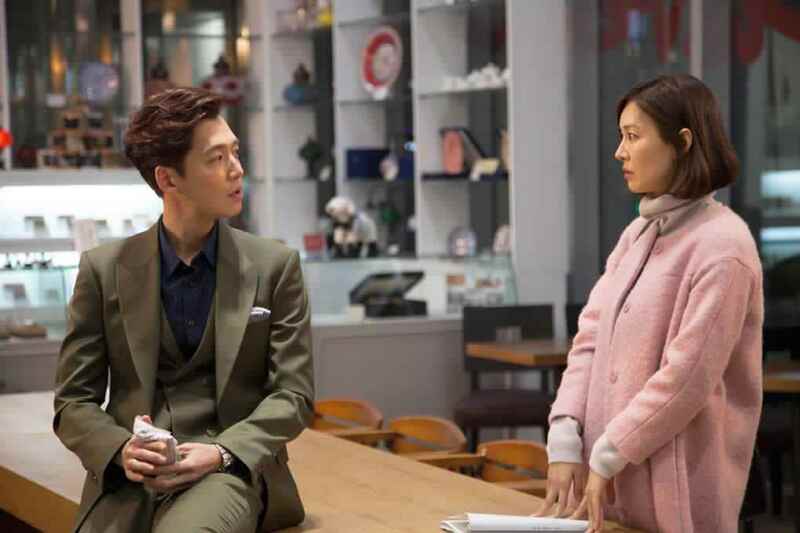 However, a jealous competitor in both business and love, Joon Hee Lee (Hyun Min Yoon), conspires to obtain the company away from him by stealth. 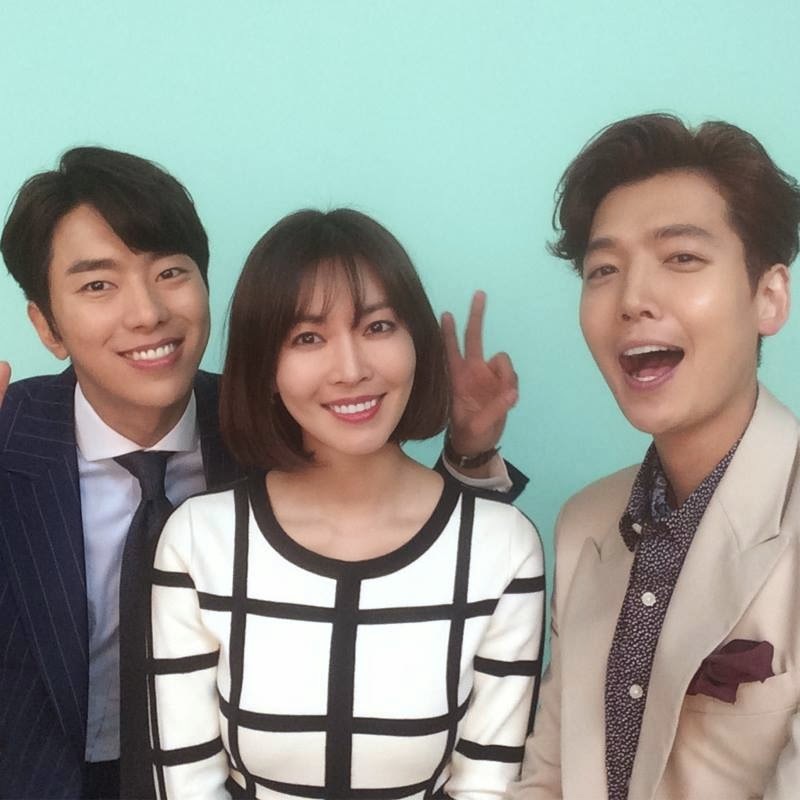 Joon Hee, who really is criminally insane (so much so that he kept reminding me of the evil character of Jae Kyung in My Love From Another Star, played by Sung Rok Shin) had deliberately run down with his car the cop fiance, Dong Wook Ma (Jin Goo), of the chief female secretary at the company, Soon Jung Kim (Kim So Yeon); he had been the best friend of Ma, supposedly, but had always secretly desired Soon Jung since childhood. He wanted a chance to get him out of the way permanently before the wedding. The murder had been witnessed by others, including Joon Hee's own father, a security guard, and a petty gambler with a dying wife, but Joon Hee basically has them emotionally and financially blackmailed for various reasons, so they are afraid to come forward to identify him. The crime is labeled an unsolved hit and run by police, but eventually Min Ho starts putting some pieces together so that he can attempt to stall Joon Hee's takeover of his company and get justice for officer Ma at the same time. 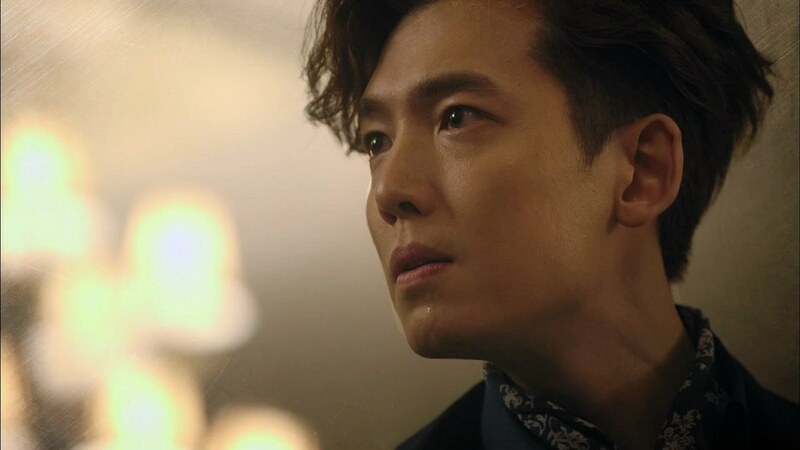 In the beginning of the story Min Ho is suffering from heart disease; as it turns out the same night that officer Ma is struck down and killed by Joon Hee, Min Ho's heart begins failing. Unknown to grieving Soon Jung, her new boss Min Ho receives the transplanted heart of her fiance in an operation. This part of the story reminded me so much of the classic K-drama Summer Scent (2003), because when Min Ho comes to after the operation his heart starts beating wildly for Soon Jung and he doesn't understand why. He becomes a much more compassionate person -- could the transplanted heart change the recipient's character? Do our hearts have memories? Eventually Min Ho is so concerned by the changes he is feeling that he goes on an illegal search for his heart donor and discovers that his new heart came from Soon Jung's murdered fiance. He has to answer for himself: does he love Soon Jung for her own personality and character, or is it simply the loving, longing heart of officer Ma calling out to her from inside his own body? He and Soon Jung had become increasingly close over time, but now Min Ho feels like he should put some distance between them. Will this give an opening to his rival, the evil, conspiring Joon Hee? from My Love From Another Star that it freaked me out big time! A sweet romance that develops on the sidelines is between Min Ho's best friend and private male secretary Woo Sik Oh (Shi Un Lee) and officer Ma's co-worker, female cop Ok Hyun Na (Eun Ji Jo from Personal Taste), and is a nice break from the main stressful storyline of officer Ma's murder and Joon Hee's corrupt takeover plans. Min Ho comes increasingly into detective Hyun Na's confidence (I think it's hilarious that he calls her "Wendy" from Peter Pan) when he tells her he receives supernatural glimpses of the crime scene in his memories -- he is actually experiencing the memories of the dead officer Ma! In them he identifies a watch worn by the perpetrator of the crime, and then happens to see Joon Hee wearing the same watch in the men's restroom. The puzzle pieces are coming together, but they still need more evidence in order to arrest Joon Hee -- he is very clever, will they ever be able to get enough evidence against him to issue an arrest warrant? What about the witnesses to the crime, will they continue to protect the murderer? Officer Ma's father, Tae Suk Ma (actor Suk Hwan Ahn, a wonderful character actor who never disappoints me! ), a worker at Min Ho's company, also wants answers as to what happened to his son. Closure is important to him, too, not just to Min Ho and Soon Jung. And what will happen with Soon Jung when and if she discovers that Min Ho's heart was her fiance's heart? Will she be able to understand and not let that be a hindrance to a new relationship with Min Ho? Falling In Love With Soon Jung is one of the more charming Korean dramas I've watched over the years, with great ensemble acting. Characters cope in realistic ways to what befalls them in the story. There is much hopeful optimism, despite the machinations of the primary villain Joon Hee and his various co-horts. Secondary characters are fun to watch for comic relief at times. 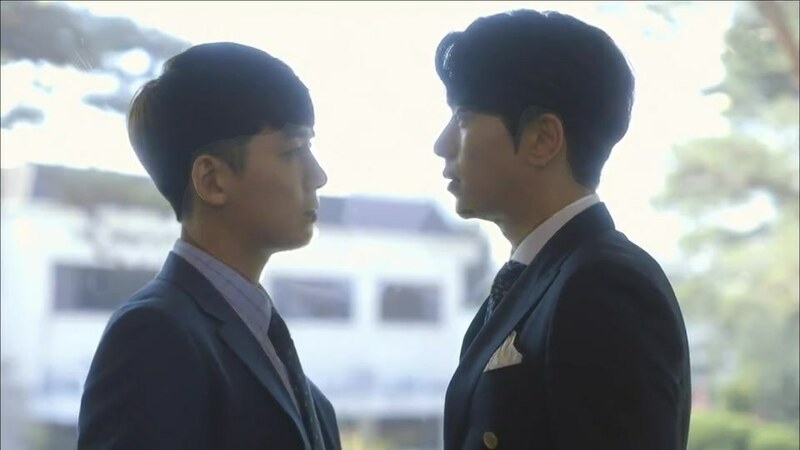 I have to admit that corporate dealings are not some of my favorite plot devices in K-dramas but as the story progresses this aspect of the story doesn't overwhelm the love stories, which I was happy to see. I think this show will give a lot of people warm fuzzies. If you are tired of a strict diet of one-note melodramas that never seem to have a break to their oppressive story-lines then try this show for a nice change. Enjoy!